Buchanan’s woodlands straddle the iconic ridges of south central Pennsylvania. 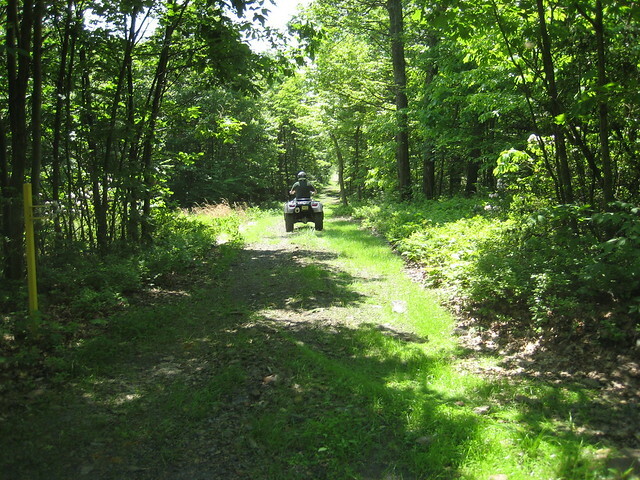 The 19 tracts of the Buchanan State Forest occupy upper slopes in the southern portion of the ridge and valley region of Pennsylvania. The forests are generally mixed oak communities interrupted here and there by groves of pine with hemlock or red maple dominating cooler ravines. Dogwood and striped maple are abundant in the understory as are heaths (mountain laurel, low-bush blueberry, huckleberry, and teaberry). Some abandoned farmlands in southern Bedford County, now part of the state forest, have seeded in naturally to Virginia pine on shallow, infertile soils. DCNR’s Bureau of Forestry is in the process of revising the Buchanan State Forest Resource Management Plan (SFRMP). A district-level state forest management plan is written for each of the bureau’s 20 forest districts across the state. Buchanan State Forest staff hosted a public meeting (PDF) about its draft management plan on Wednesday, October 17, 2018. Citizens may view the newest draft of the Buchanan SFRMP (PDF). View Buchanan State Forest’s 2018 management activities (PDF) for upcoming projects and events to implement the State Forest Resource Management Plan.